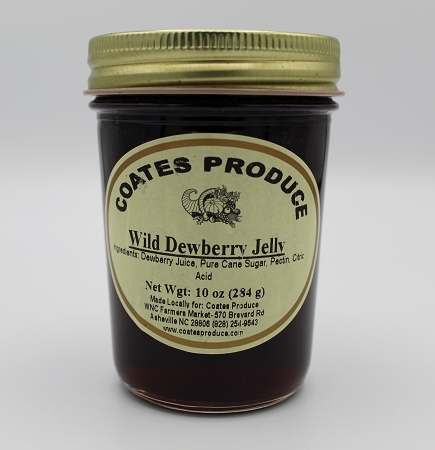 Our Wild Dewberry Jelly is made in small batches and hand stirred. Dewberries are like our traditional blackberries but they grow along the ground instead of in a bush. With its sweet flavor all you will need is biscuits and butter. Ingredients: Dewberry juice, pure cane sugar, pectin, citric acid.